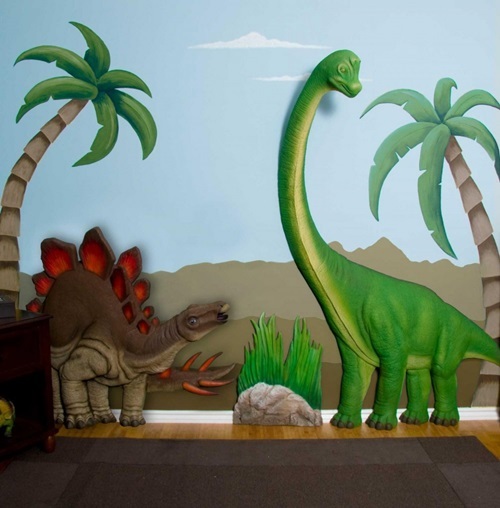 Dinosaurs fascinate kids that are interested in amazing and mysterious things. 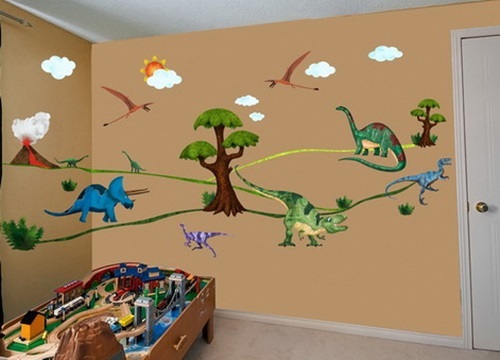 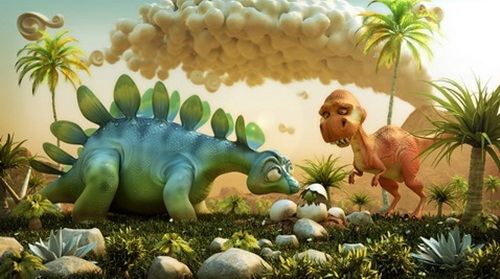 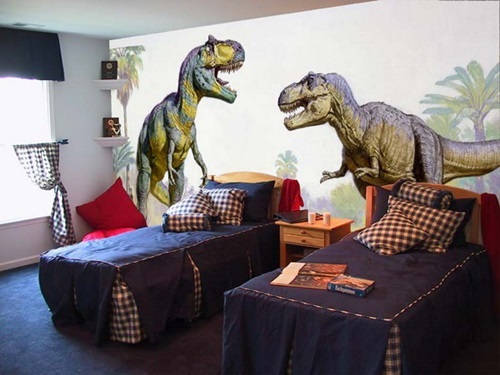 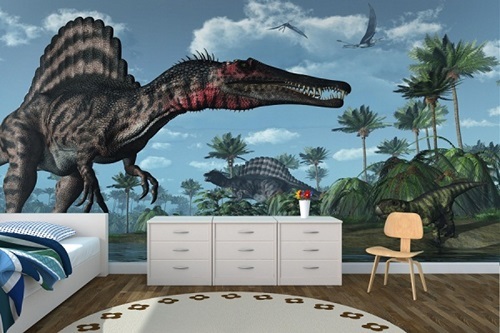 Dinosaurs cartoon characters are very beloved by kids specially boys so it will be more than likely that they would love to have a prehistorical wild inspired designed room with dinosaurs . 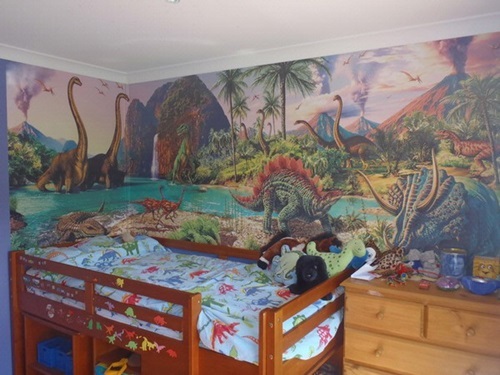 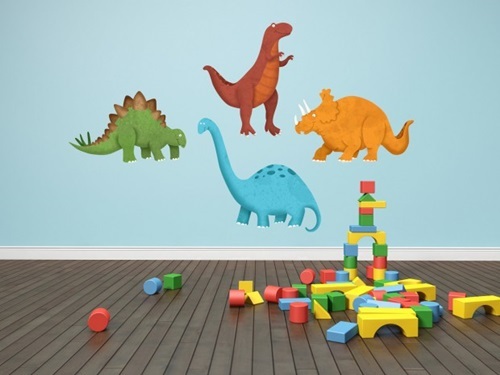 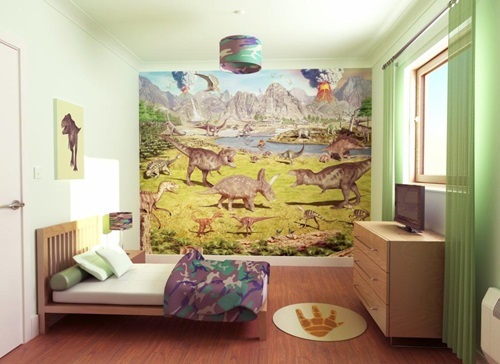 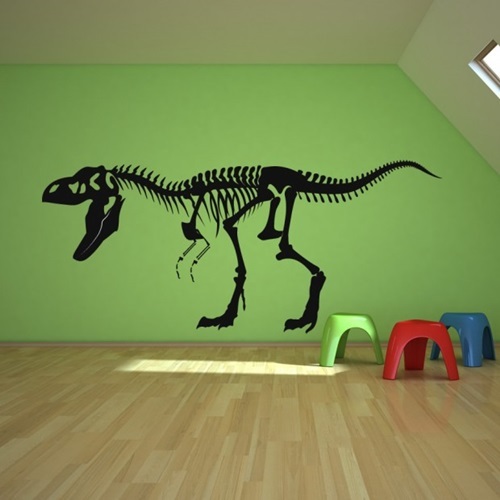 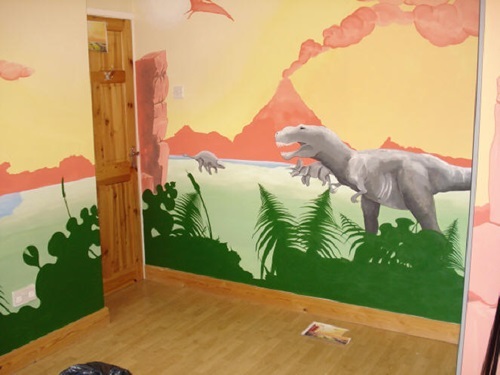 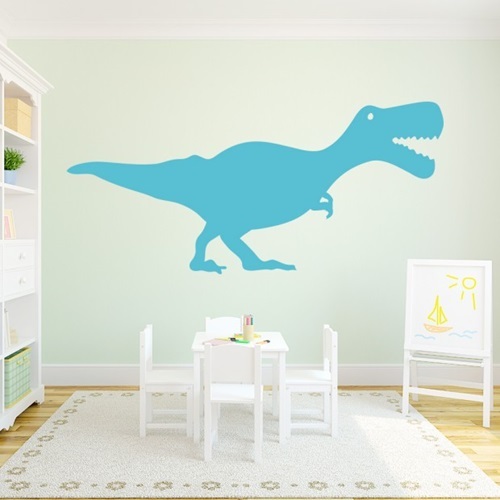 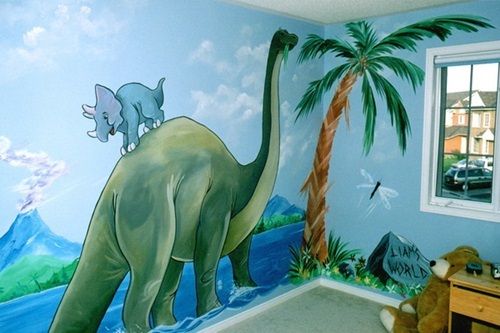 Since the room can get the desired appearance by only applying dinosaurs wall themes which are available in a very wide range in different drawings yet other decorative objects such as bedding sets ,figures, rugs and even curtains will enhance the personality of the room furthermore . 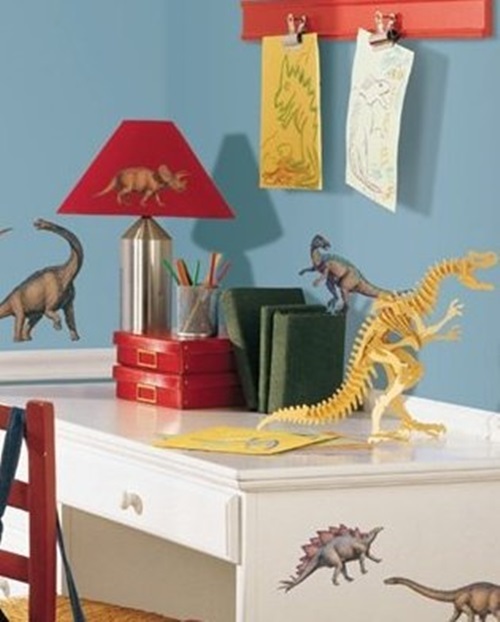 Most popular wall backgrounds colors that will match the general look of the room would be mainly green, blue or tan . 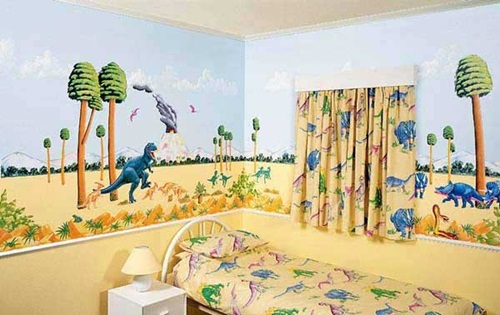 After you get the walls painted then it is time to choose the preferred wall theme. 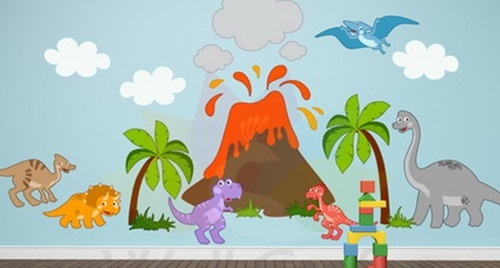 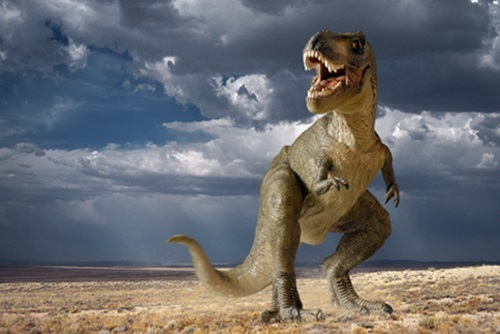 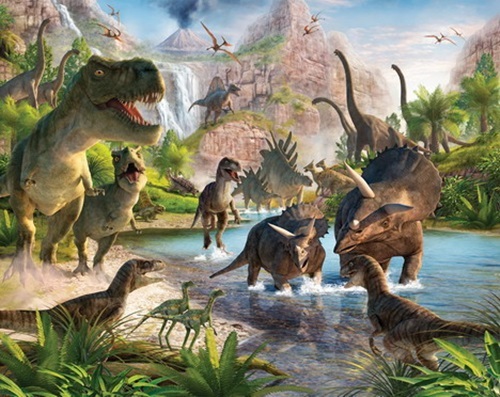 Go to a dinosaurs museum and get yourself inspired , dinosaurs wall themes can be available in a cartoon drawings or a more realistic drawings which will suit an elder child. 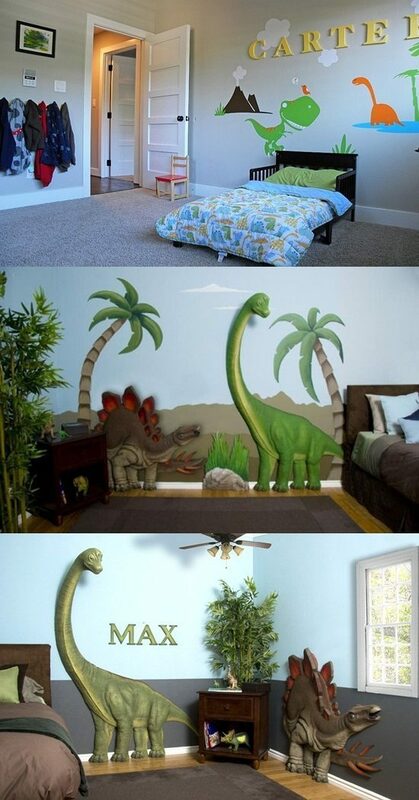 Wall themes should best be applied on the facing wall to the bed . 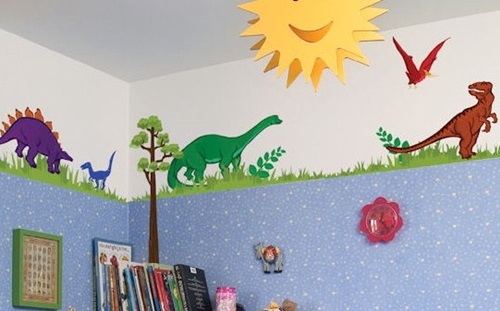 Bookshelves will be used to add some dinosaurs figures or little plants bots that will give the sensation of the jungle. 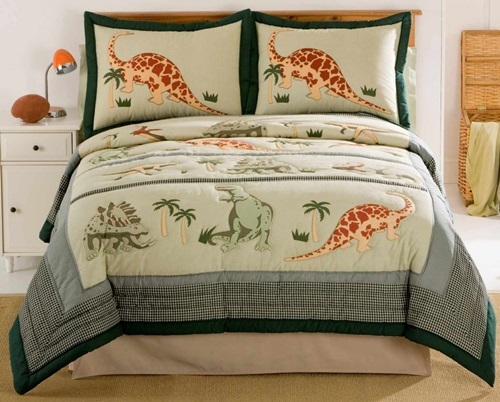 Bedding sets are essential for the decorative perspective in addition to the comfort and the coziness that they give. 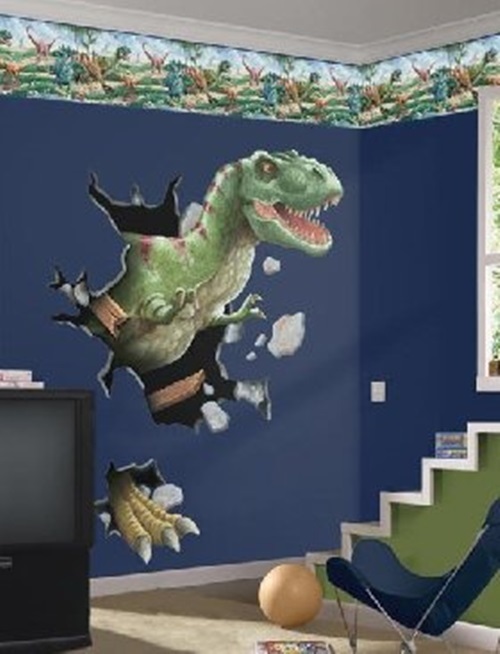 Dinosaurs themed rugs would look awesome in the center of the room which could be wood floors or a tan carpet covered floor . 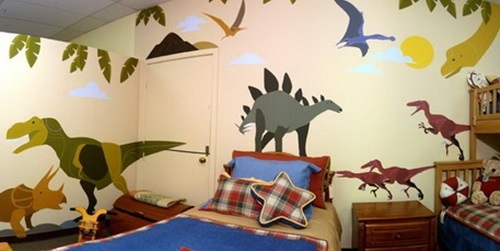 Dinosaurs shaped cushions or toys would be a perfect match with the whole design of the room . 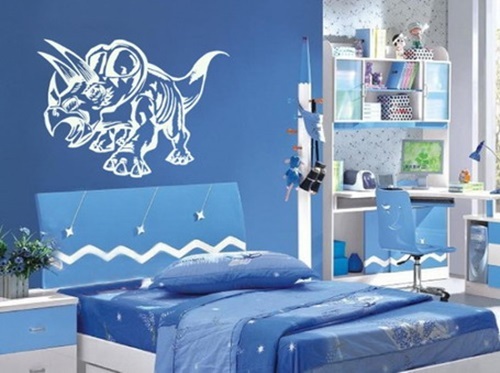 you can even look for dinosaur shaped bed borderheads they are also available in the markets if you know where to search.